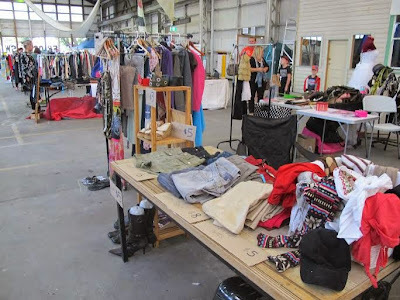 Due to the popularity of last years successful indoor second-hand fashion market held in the historic Seaworks in Williamstown, Melbourne Frock Swap is back, with the first event of the year taking place on Sunday 15 March 2015. Seaworks is a big and beautiful old boathouse filled with old charm and character, which is now used for functions, exhibitions and events throughout the year. The ladies behind Melbourne Frock Swap have chosen this delightful venue to host their second-hand market, positioned on the waters edge with beautiful views across Port Phillip bay. 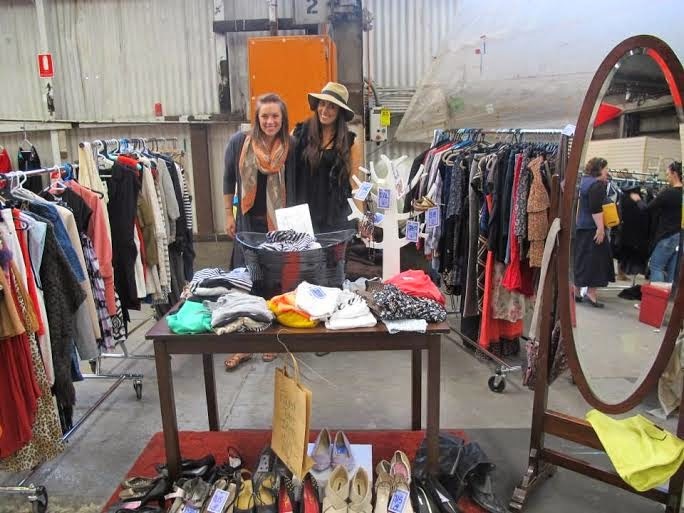 Melbourne Frock Swap boasts 70+ stalls selling pre-loved gear from fashionista's selling excess clothes and accessories from their wardrobes. 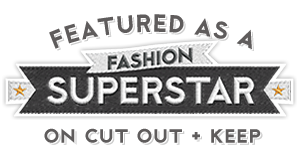 Expect to find frocks, shirts, pants, shoes, tops, handbags, blouses and more, all for a fraction of their recommended retail price. 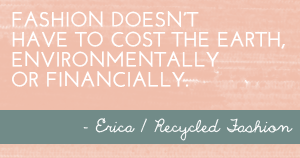 What better way to update your wardrobe, than to shop up at Melbourne Frock Swap; not only are you saving cash but you're also being nice to the environment by buying clothing already in circulation. If you are looking for a way to part with some of your own wardrobe pieces, why not consider booking a space with Melbourne Frock Swap. You could host a stall on your own, or gather your friends and set up a combined stall together. For the 2015 market at Seaworks in Williamstown, the cost per stall is $60.00 for a 3 x 3 metre site. You will need to bring your own table, racks and chair/s, and think about pricing your wares (highly recommended) prior to the day. Stallholders have access to free parking and loading bays, making it easy for you to set up, and pack up. 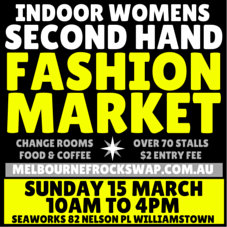 Check here for more details on how to book a stall with Melbourne Frock Swap. For all you bargainistas looking for some fancy new wardrobe additions, Seaworks is easy to get to by car, just 10 minutes from the Westgate Freeway, with free parking found nearby, or metered parking at the front of the building. Note there is a $2 entry fee, and it is advisable to bring cash with you to shop for your loot. The good news is, Seaworks is an indoor venue, so the market will run rain, hail or shine. Williamstown's cafe precinct can be reached within a quick 2 minute walk from the grounds of Seaworks, where you will find an ATM if you run out of cash, otherwise make the most of your day and stop for lunch or a coffee after your shopping spree in the historic harbourside town. Find Melbourne Frock Swap online, and follow on Facebook for all the latest news.